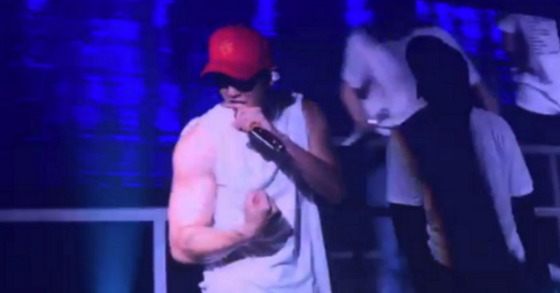 EXO's Chanyeol put fans in awe with his surprisingly bulked up arms. It was an unprecedented 'manly man' sight of our 'happy virus'. His transformation could be spotted from EXO's concert held from July 13 to 15 at Gocheok SkyDome, Seoul. 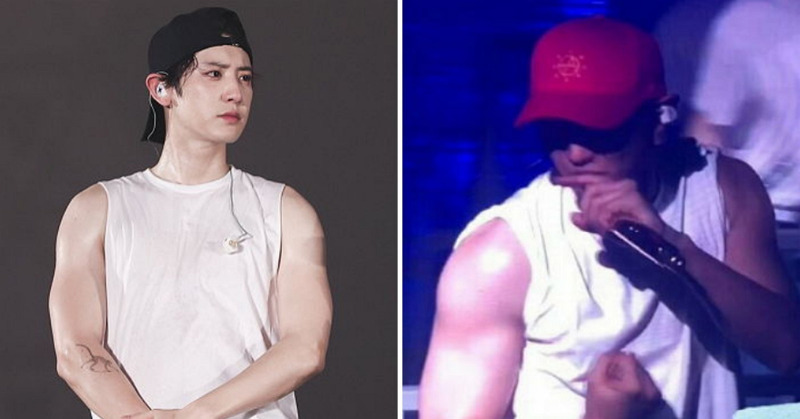 While Chanyeol is most widely beloved for his youthful face and cheerful personality, his bulky arms were more than enough to blow the minds of fans away. Until now, Chanyeol's distinctive charms were his cute baby-like face and innocent playfulness. His arms were just slightly toned up; not too skinny, not too muscly. 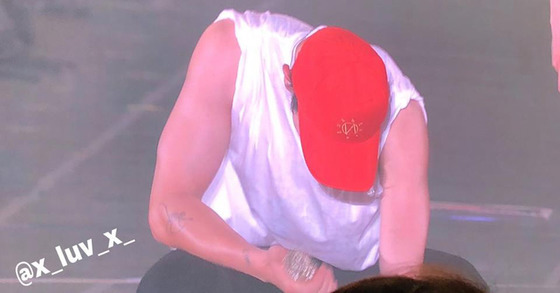 However, this time, he appeared with arms totally muscular, almost comparable to the arms of Ma Dongseok, the actor who's famous for his beefy body. Additionally, Chanyeol's face also turned extra sexier with sharper jawlines he probably earned during his weight training process. Featured by Chanyeol's bulky arms, EXO's concert, EXO PLANET #4 –The EℓyXiOn [dot]– ended in huge success, making 66,000 lucky audiences go wild. While this concert was an encore of the concert held in November 2017, tickets were once again completely sold out. Including their major hit songs, EXO performed 36 songs for three hours. Unique solo and unit performances such as Chanyeol and Sehun's duet stage and EXO-CBX's stage, heated up the venue.